Civil society groups held a demonstration in the state capital. 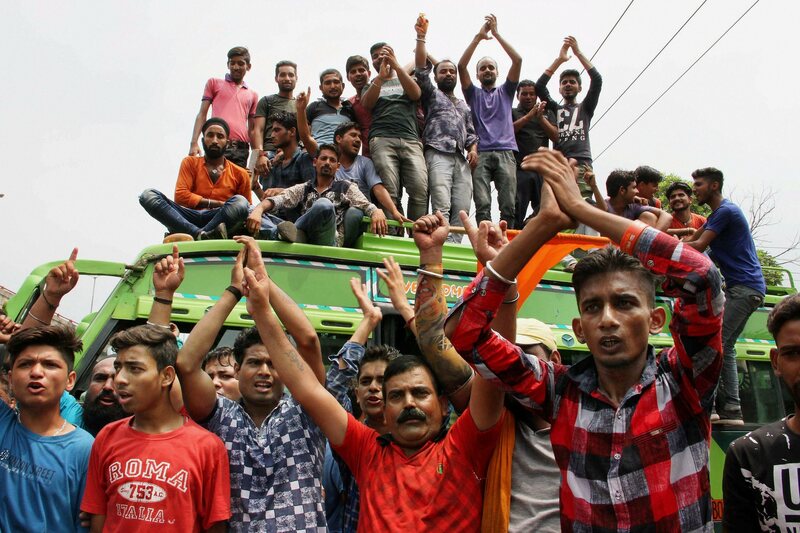 The killing of Amarnath Yatra pilgrims in Jammu and Kashmir was condemned by various quarters on Tuesday, with calls for a number of protests against Monday night’s attack in Anantnag. 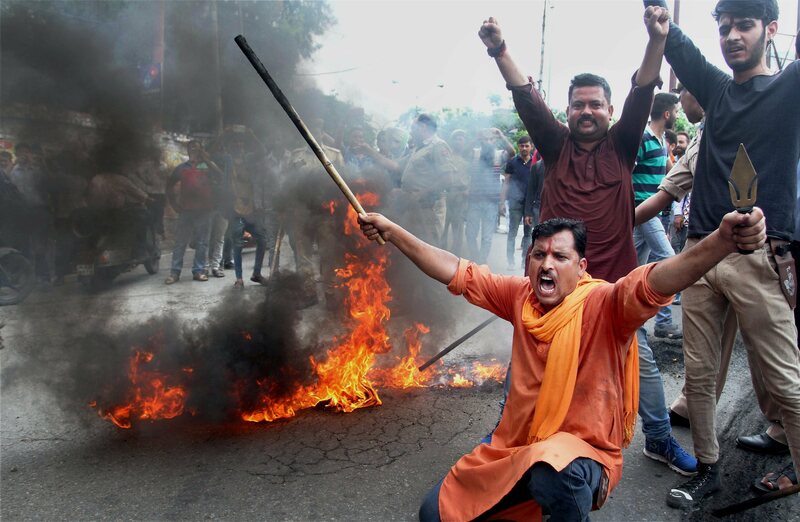 Angry demonstrations were held in Jammu, where Pakistani flags were burnt. Srinagar, too, saw more than one agitation against the killings. In the afternoon, tour and travel operators protested against the “barbaric act” and declared their “solidarity with the bereaved”. Kashmiri civil society groups held a “sit-in protest” at Pratap Singh Park in Lal Chowk, in the heart of Srinagar, at 5.30 pm. 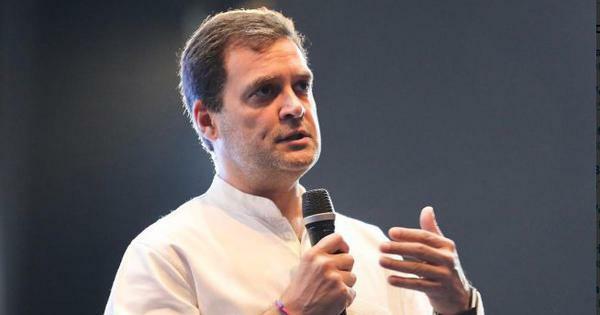 “Let us emphatically and unambiguously show solidarity towards those killed and demand a credible investigation against this and all other crimes perpetrated in Jammu and Kashmir,” read the Facebook post announcing the demonstration. It was widely shared on social media. Kashmiri activists and journalists, including Editor-in-Chief of Rising Kashmir Shujaat Bukhari, had been quick to denounce the killings on social media. 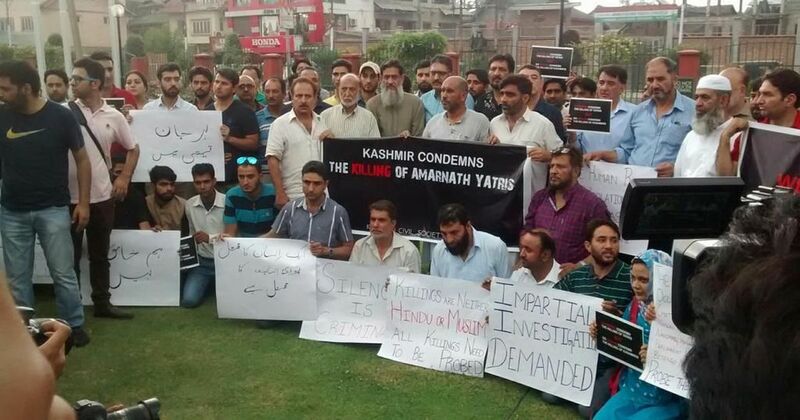 In #Kashmir condemnation of Yatris killing is uneqvivocal and not selective. That must be recognised. No one condones the attack here. Separatist leaders of the Hurriyat, too, condemned the killing of the Amarnath Yatra pilgrims. In a joint statement, Syed Ali Shah Geelani, who heads the so-called hardline Hurriyat (G) faction, Mirwaiz Umar Farooq, leader of the “moderate” Hurriyat (M), and Yasin Malik, chief of the Jammu and Kashmir Liberation Front, said the “incident goes against the very grain of Kashmiri ethos”. 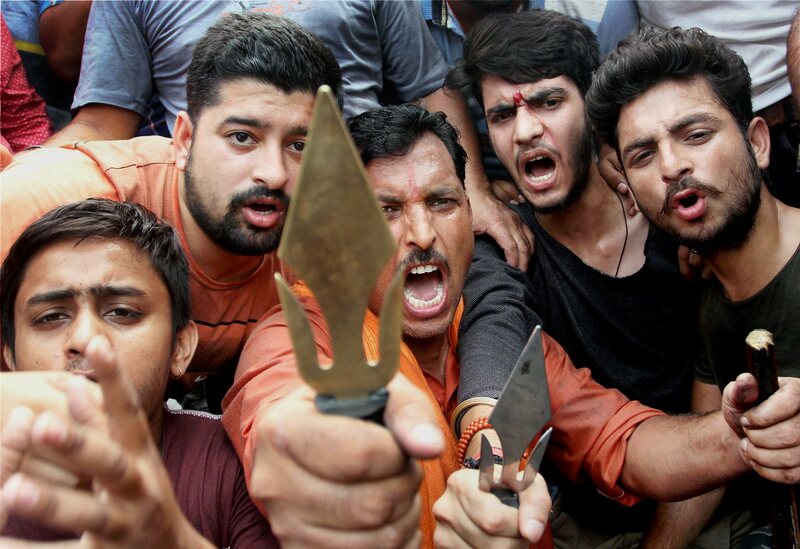 “The Amarnath Yatra has been going on peacefully for centuries and is part of yearly rhythm and will remain so,” they said. the pilgrims have and will always be respected guests. Home Affairs Minister Rajnath Singh also took note of the voices of protest from within the Valley, lauding the “spirit of Kashmiriyat”. Needless to say, online trolls baying for blood were not impressed. The Not In My Name campaigners, who had organised nationwide protests against lynchings and communal violence on June 28, will hold a vigil at Delhi’s Jantar Mantar this time to mourn the deaths of the seven Hindu pilgrims who were killed by militants on their way to Amarnath on Monday. The demonstration will be held on Tuesday, 7 pm onwards. In a statement on Facebook, the organisers called the attackers “enemies of humanity” and said that they as citizens wanted to “take a firm stand against political violence no matter who the perpetrator”.